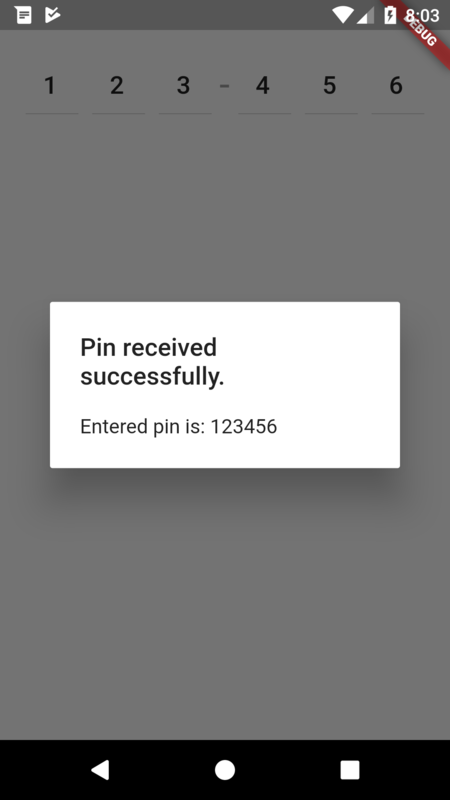 PinView is a fully configurable package to create pin fields that can also easily be integrated with an SMS verification system. To install PinView, simply add the following to your dependencies in pubspec.yaml. Then run flutter packages get in your project folder from your command line or terminal. 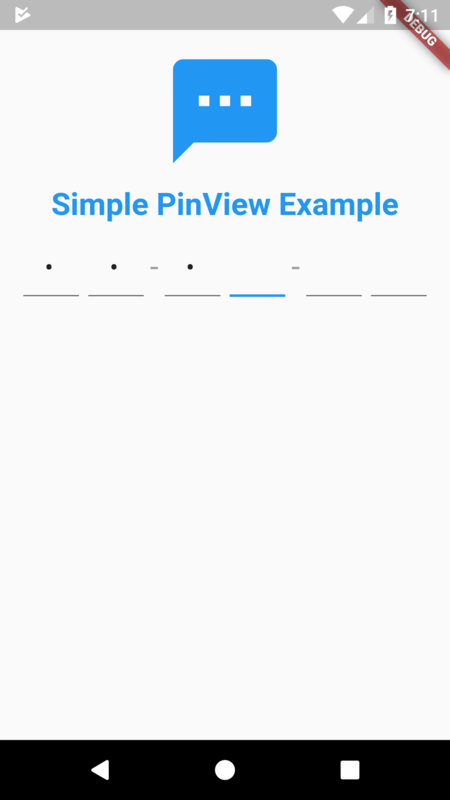 Below example creates a simple PinView. PinView can't listen to messages for iOS due to it's use of sms package which doesn't support iOS yet. To use PinView with SMS detection, you first need to allow necessary READ_SMS and RECEIVE_SMS permissions for Android. To accomplish this, add the following lines to your AndroidManifest.xml file. After you provide the necessary permissions, you can try the example below. Create an SmsListener (which comes with the pin_view). // body: "Your verification code is: 123-456"
Add your listener to the PinView's sms parameter. Use it however you want. You can find a fully working example in examples/example.dart in the github repo. 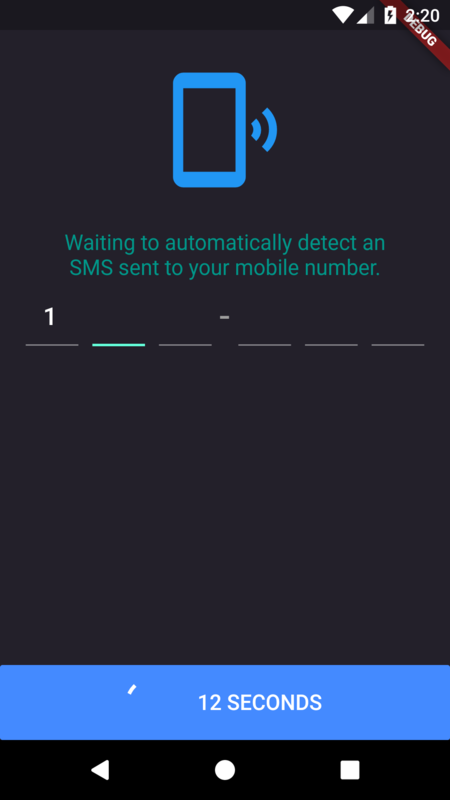 This package uses the sms package to be able to listen to the received messages for pin entries. Since the sms package only works on the Android now, PinView's sms option only works on Android too. This is my first Flutter package, it currently seems bugless but feel free to contribute by sending a pull request. Feel free to contact me if you have any questions/suggestions.